Kawaichiya Ryokan is a hot spring ryokan situated Nozawa onsen in northern Nagano. 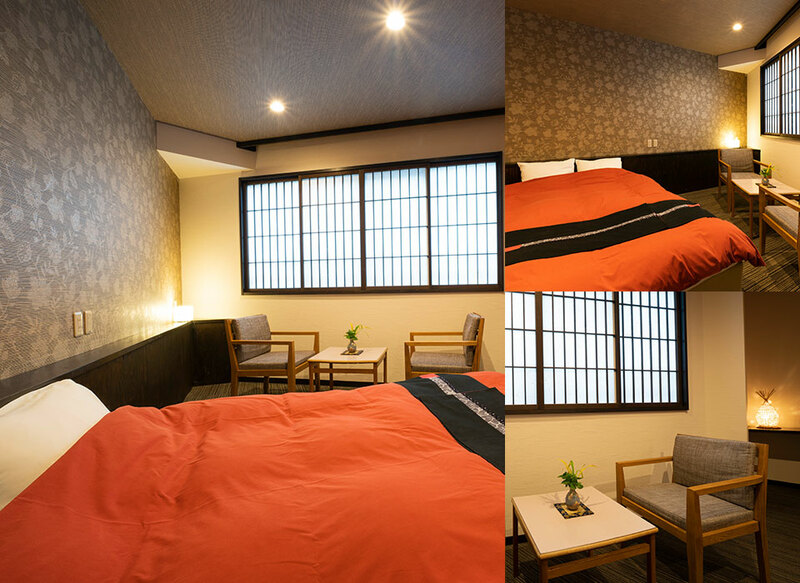 comfort and ensure to give you the best memories stay in Nozawa. 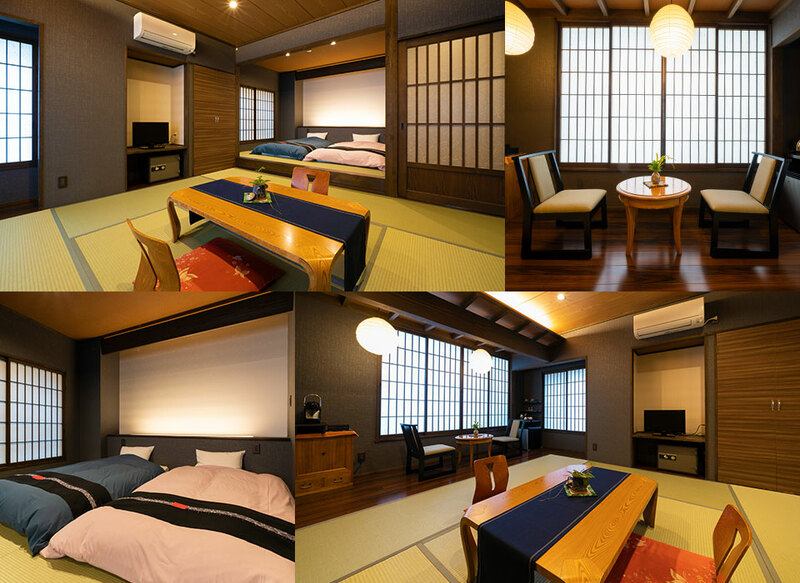 Non Smoking room featuring Tatami (woven-straw) living area, Western-style bed area, study area and Private Open-Air Bathroom. Free Wi-Fi, Yukata Robes, Safe, Air conditioning, Heating, Toilet, TV, Telephone, Refrigerator, Electric kettle, Wake up service. Room is located on the 2nd floors. Must use the stairs. Private Open-Air Bath does not provide a hot spring. In case of shared with 3 people or more, provide Japanese futon bedding instead of Western-style beds on tatami living area. 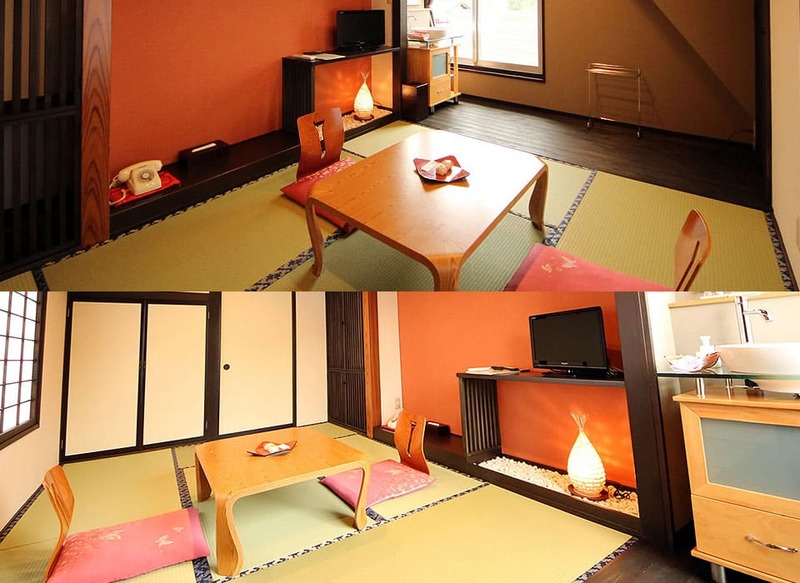 Non Smoking room featuring Tatami (woven-straw) living area and Western-style bed area. Has shared bathrooms and a private toilet. 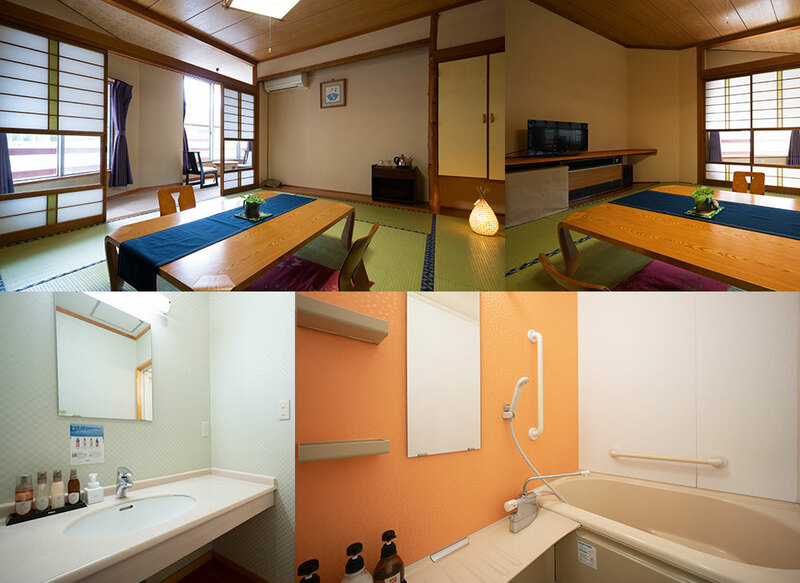 Free Wi-Fi, Yukata Robes, Safe, Air conditioning, Heating, Shared bathroom, Toilet, TV, Telephone, Refrigerator, Electric kettle, Wake up service. Room Number 306. Renovated 2017. 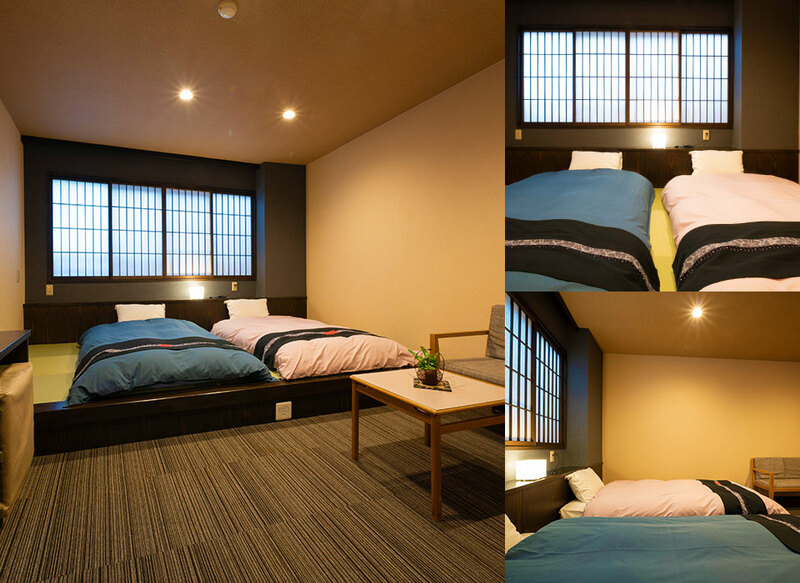 Non Smoking room featuring Tatami (woven-straw) living area and Western-style bed area. Has shared bathrooms and a private toilet. Room Number 206. Renovated 2017. 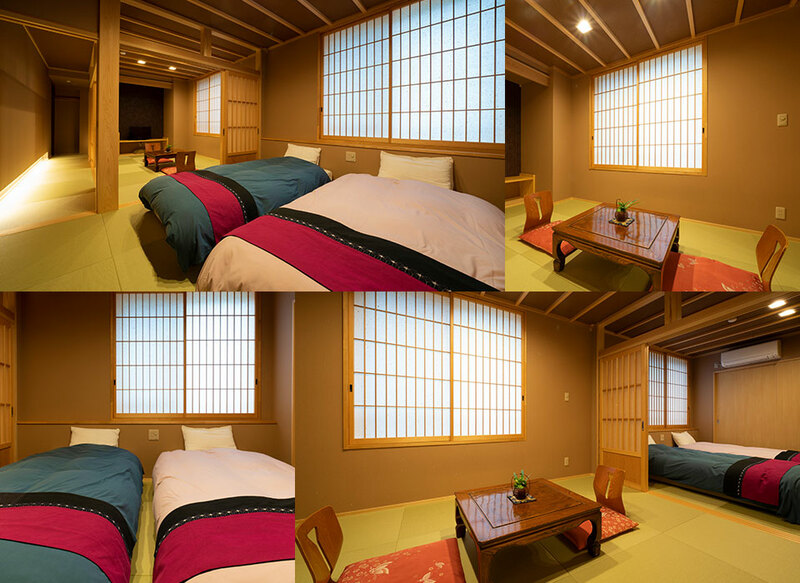 Non Smoking Japanese Style room featuring 8 tatami (woven-straw) flooring and Western-style beds. Has shared bathrooms and a private toilet (small space). 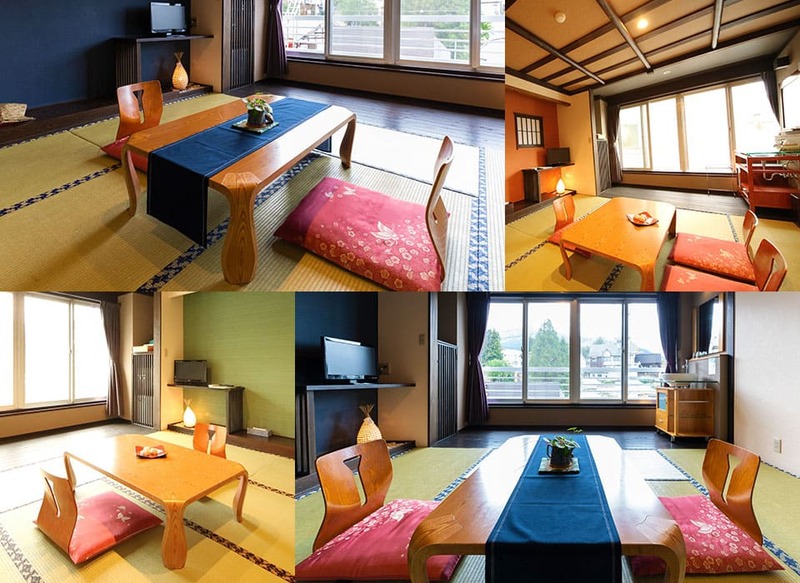 Free Wi-Fi, Yukata Robes, Safe, Air conditioning, Heating, Shared bathroom, Toilet, TV, Telephone, Refrigerator, Wake up service. In case of shared with 3 people or more, provide Japanese futon bedding instead of Western-style beds. 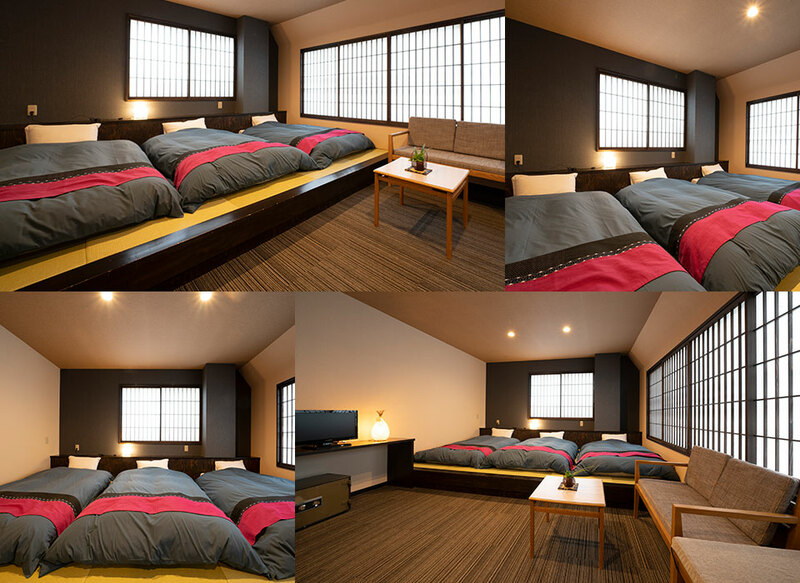 Non Smoking room featuring Western-style beds and a seating area with tatami (woven-straw) flooring. 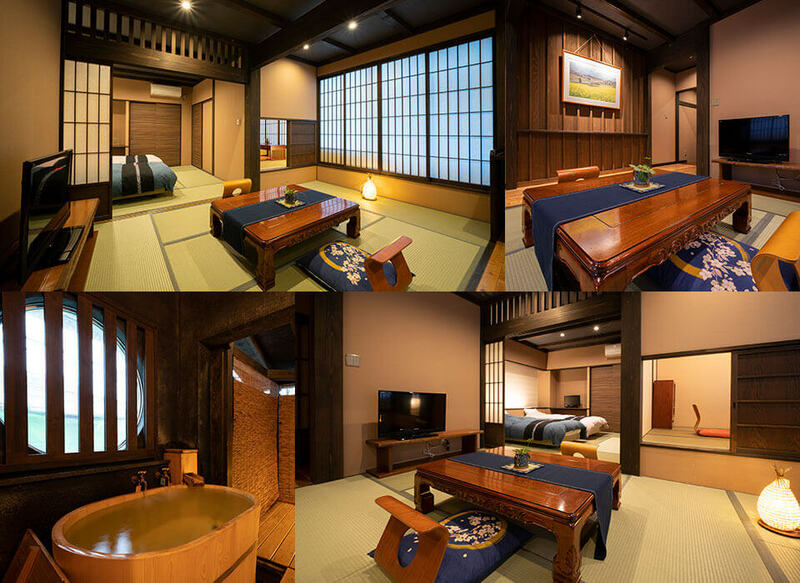 Room comes with Yukata robes and a private Shower Room. Room is located on the 3rd floors. Must use the stairs. Free Wi-Fi, Yukata Robes, Safe, Air conditioning, Shower Room, Toilet, TV, Telephone, Refrigerator, Wake up service. In case of shared with 4 people, provide a cot, simple bed. 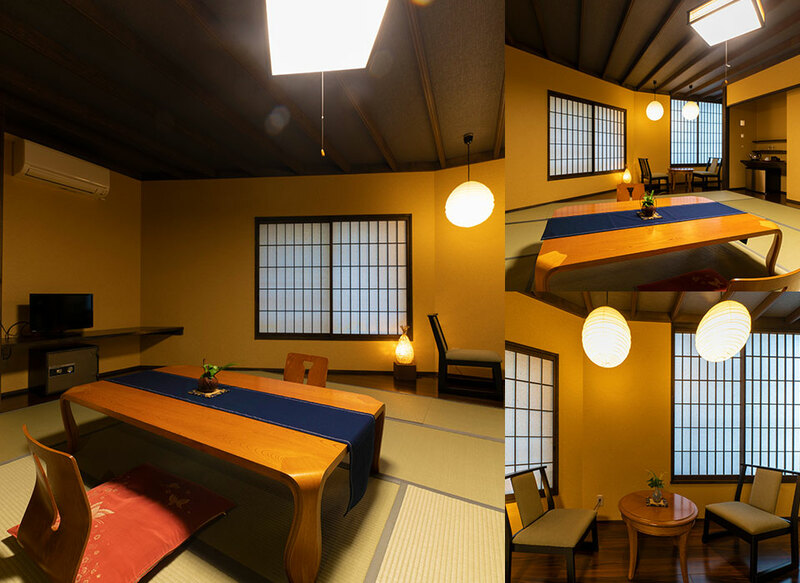 Non Smoking Japanese Style Modern room featuring 12 tatami (woven-straw) flooring and Japanese futon bedding. Has shared bathrooms and a private toilet. Non Smoking Japanese Style Modern room featuring 8 tatami (woven-straw) flooring and Japanese futon bedding. Has shared bathrooms and a private toilet (small space). 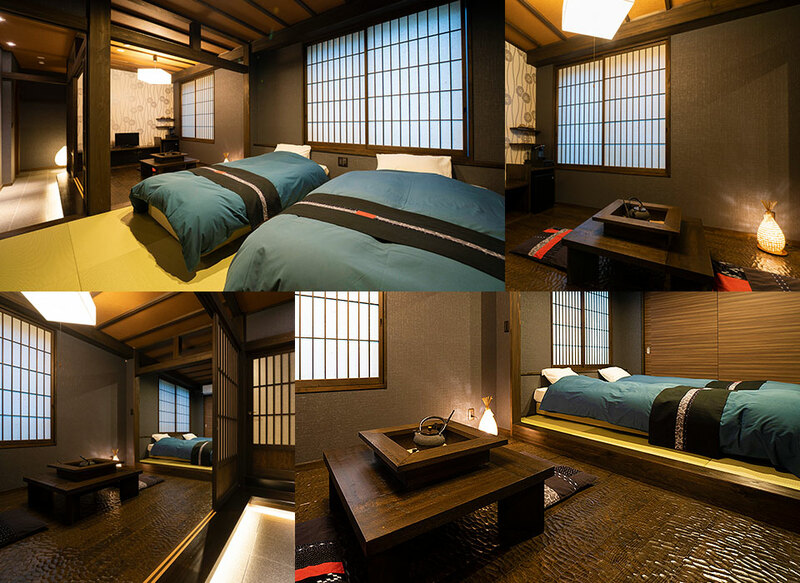 Non Smoking Small Japanese Style Modern room featuring 6 tatami (woven-straw) flooring and Japanese futon bedding. Shared bathrooms and shared toilet. Free Wi-Fi, Yukata Robes, Safe, Air conditioning, Heating, Shared bathroom, Shared Toilet, TV, Telephone, Refrigerator, Wake up service. Non Smoking Japanese Style room featuring 10 tatami (woven-straw) flooring and Japanese futon bedding. The room comes with yukata robes and a private bathroom. Free Wi-Fi, Bathroom, Yukata Robes, Safe, Air conditioning, Heating, Toilet, TV, Telephone, Refrigerator, Wake up service. Non Smoking room featuring Western-style Wide-Double Room. 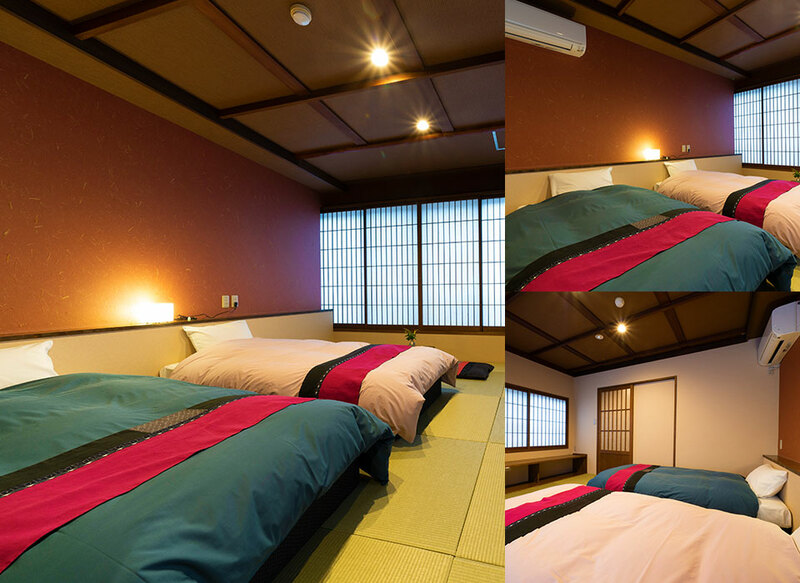 Room comes with Yukata robes and a private Shower Room. Room is located on the 3rd floors. Must use the stairs. 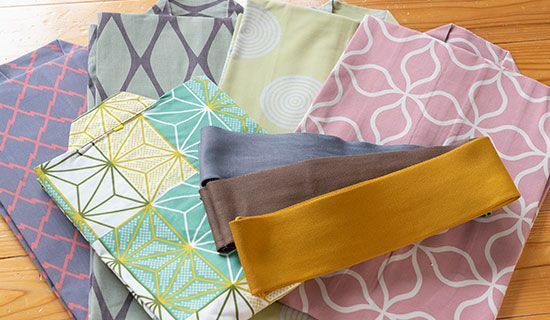 "Yukata" is casual kimono to provide heat in the winter and cooling in the summer. We use the first one to the indoor bath and the second to the outdoor bath. Nozawaonsen is located in northern Nagano region known for its rich water and soil suitable for farming. High quality ingredients produced in this area are prepared into dishes. Limited Express Buss Nozawaonsen Liner about 25min. If you plan to come over Nozawa Onsen from Narita / Haneda / Centrair Airport, we do suggest you the special bus/taxi. The bus/taxi takes you to Kawaichiya directly from the Airport and the price is nice. This is a Door to Door service and 5.5 hours to Kawaichiya (in case from Narita). If you would like to take it, please refer to their web site. The thirteen public onsen bath house “Soto-yu” dotted around the Onsen district are assets that are shared and cherished by the villagers. Well maintained, the bathhouses are always kept clean, and provide a comfortable setting for villagers' everyday use, as well as for visiting guests. 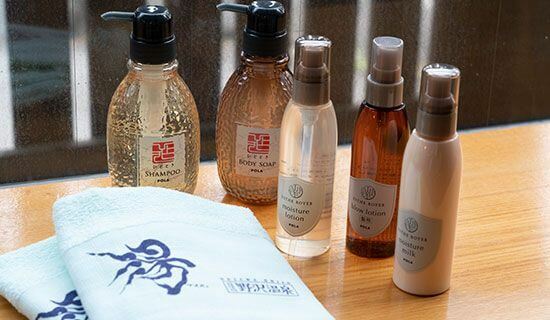 At public bathhouses, villagers and guests can expect to communicate with each other in a warm atmosphere. Why not chat about the things you have experienced during the day while you soak and relax in the warm water? 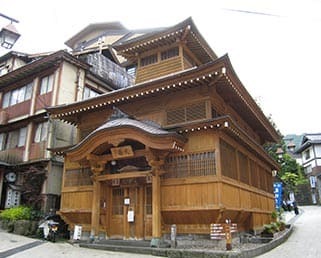 Located in the center of the Onsen town, the O-yu bathhouse—the symbol of Nozawa-onsen—is the largest and grandest bathhouse building among the Soto-yu. This is a must-try bathhouse for visitors to Nozawa-onsen. Takes 4 mins from Kawaichiya Ryokan. Located just next Kawaichiya Ryokan. It is said that hot water at this bathhouse is especially good for cuts, burns, and boils. The water here has a slightly greenish transparent hue. Takes 1 min from Kawaichiya Ryokan. An old bathhouse said to have been discovered by a bear. It is said that Nozawa-onsen originated in this place, which according to legend was shown to a hunter by an injured bear. This public bathhouse is located near the entrance to Tsutsujiyama Park, at the north end of town. People say that the water here is good for diseases cured by warming. This bathhouse is located in the basement of a building below the Yokochi traffic lights, and the stone wall of the building serves as a landmark. The water at this bathhouse is especially good for skin diseases. Though small, this bathhouse has a typical bathhouse style building with a traditional atmosphere. The water here is said to be good for skin diseases. The water is very hot, and it’s a popular place in summer, when bathing in the morning is a good idea. There is a communal laundry behind this bathhouse building. This Soto-yu is much loved by locals. 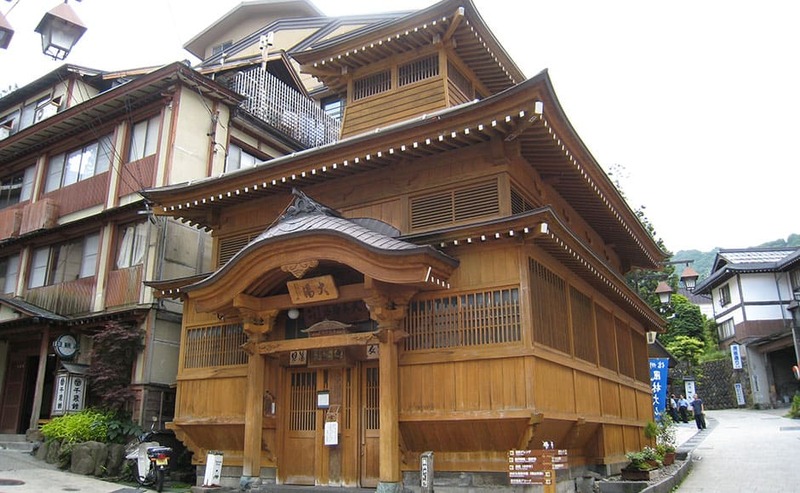 With its traditional style building, this public bathhouse has a relaxing atmosphere. The water at this bathhouse is good for those recovering from serious illnesses. This Soto-yu is a somewhat modern western style building. The first floor is for women and the second floor is for men. While the foundation of the building is stone, the bathroom inside is in the style of a temple, with a nice atmosphere. While the water you can see flowing from the mouth of the lion appears clear and colorless, the water in the bathtub is slightly milky. This bathhouse is located a bit away short distance from the center of the Onsen district. The floor of the bathtub is tiled, and the slightly milky hot water here is constantly replaced as it flows from the spring. This massive bathhouse is the largest of Nozawa-onsen’s Soto-yu. The communal bathhouse is in a building constructed in a temple style. 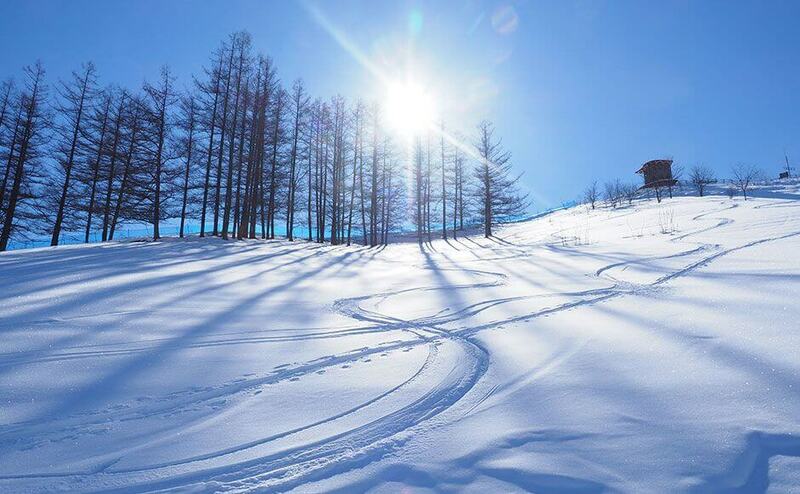 Nozawa Onsen Snow Resort has a wide variety of courses to suit all levels of skier and snowboarder - from gentle beginner slopes to challenging courses for more advanced riders. From a summit of 1,650 meter, a total of 36 courses make their way down to the village. With a total of 21 lifts and 50 kilometers of courses to ride, Nozawa Onsen is one of the largest and most popular ski resorts in Japan.